Shihan Raymond Elmore became active in formal karate in the early 1960s when he began studying under Hulon Willis at the Southside Virginia Police Karate Academy. Under the auspices of Elmores School of Karate and the City of Hopewell Recreation and Sports Programs Karate Club, he developed a large dojo that trained thousands of karateka in Kyokushin karate. He helped pioneer karate in southern Virginia and the surrounding states, traveling widely to compete and instruct karateka. A disciplined and celebrated instructor, Elmore taught in a traditional atmosphere with an emphasis on physical conditioning, demanding kumite and tameshiwari. A proponent of the way of karate, Elmore continues to stress the positive values of the arts philosophies. An advocate of tameshiwari, Elmore was a celebrated state champion in his competitive years. He was named the East Coast Champion for three straight years and won the prestigious Virginia State Open. He competed throughout the United States. A golden gloves boxer, he also instructed numerous police departments in self defense techniques. Elmore played professional football for a short period of time and was distinguished in the United States Military. 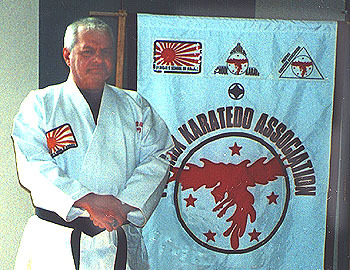 Over the years, Elmore has been affiliated with a number of clubs and organizations, including Mas Oyamas Japan Kyokushinkai-Kan (International Karate Organization), Robert Triass United States Karate Association (USKA), Hulon Williss Southside Virginia Police Karate Association (SVPKA) and served as the Virginia Director of the Oriental Defensive Arts Association. In 1990, he assumed his present position as the Chairman of The Phoenix Karatedo Association. His long time student, Shihan Dan Soller, serves as Chief Instructor of the Association.